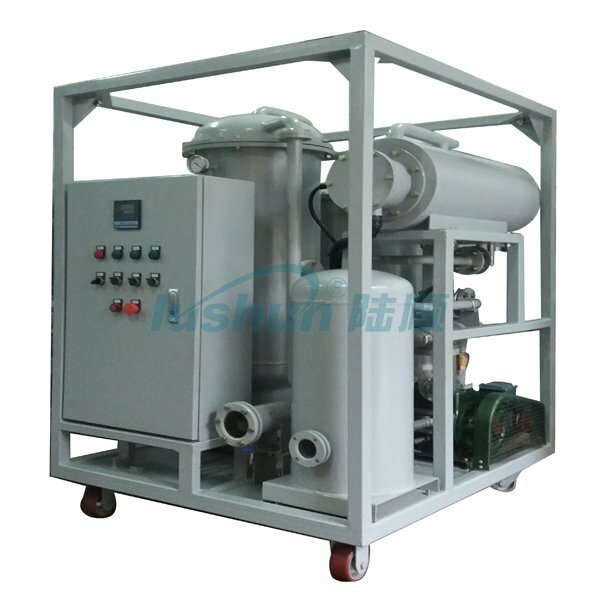 ZL series vacuum lubricating oil purifier is widely adopted by application fields of mechanical engineering, metallurgy, mining, petroleum, and chemical engineering to cleanse lubricating oil such as hydraulic oil, machine oil, coolant oil, refrigeration oil, gear oil, gasoline engine oil, diesel engine oil, heat treatment oil to remove the noxious substances like water content, impurities, and volatile matters (e.g. ammonia gas) effectively to improve and recover oil quality and performance, thus to guarantee the normal operation of hydraulic system, power system, and lubrication system. 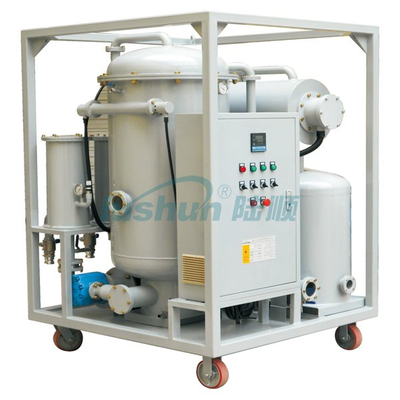 ●Perfect capability of removing impurities, mass and deep precision purification material enabling removal of tiny and fine particles from oil liquid while equipped permanent magnet filter to remove ferruginous impurities. ●Unique water and gas removal system, which adopts stereo-evaporation technology, multistage oil and water separation technology, enabling fast removal of water and gas from the oil. ●Its heating system adopts most optimized pipeline design to guarantee even and stable oil heating temperature. ●With automatic constant temperature control system, automatic tank level control system, automatic anti-foaming control system, automatic pressure protection system and other devices of best quality to guarantee its efficient operation. ●With gradual, precise and large capacity filtering system of multistage purification stage by stage to effectively remove mechanical impurities from the oil. And it has the function of automatic self-detection for its filter elements. ●User-friendly design, low working noise, easy to operate, long interval of maintenance time, low energy consumption, and cost saving. 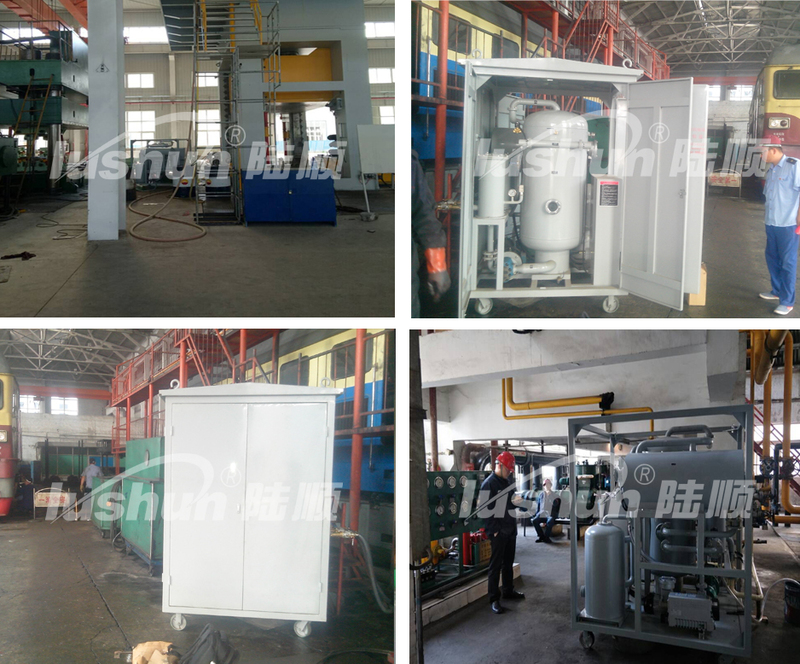 ●Online oil purification, unattended operation, and operation status showed by pilot lumps. ●With filter replacement indicators and filter saturation stop devices. ●With electric leakage and overload stop device to protect its motor. ●With functions of phase sequence and open-phase protection, and sudden shut-down safety controller. ●The whole structure of purifier can be mobile with four wheels or fixed or mobile with trailer (double axles or single axle) and it can be fully enclosed or with conceal eaves or with canvas or open.